It seems that you can’t deal with a terminal illness like pancreatic cancer without a “few” trips to the hospital! Enter the Hospital Guide for Dummies. 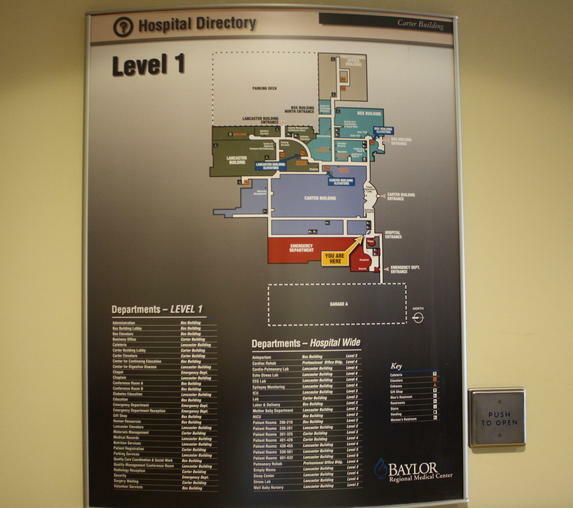 A manual for navigating the tricky details of the hospital maze. As you all know, Mom is a retired nurse. She worked for years in the telemetry unit of a major hospital. You’d think that navigating the halls of the hospital during the course of her cancer treatment would be a piece of cake. We found out rather quickly that being on the receiving end of all those dizzying hospital protocols was much different than working there! Looking up from the starched sheets of a hospital bed provides a whole new perspective, for sure. But we made good use of our time and took lots of pictures, watched tons of HGTV and Food Network shows, got to know our nurses, brought boxes of chocolates and donuts to “bribe” those nurses, and made lots of notes! After weeks of recovering from gall bladder surgeries gone wrong and mysterious strep infections, we like to think we’ve learned a thing or two about navigating the hospital maze, pancreatic cancer in tow. We give to you our Hospital Guide for Dummies! The advice and tips in this Hospital Guide are just that, advice and tips. Our thoughts and ramblings about things that worked for us while doing “time” in a hospital bed. Some things are universal to most hospital stays, some are probably more unique to our situation and particular hospital. My prayer is that your medical journey somehow bypasses all hospitals completely! But if not, may your hospital stay be a positive experience. Short, Sweet and Successful!